According to a statement, the MoU will strengthen cooperation between the two parties and provide a detailed analysis of the strengths and weaknesses of Ukrainian ports and where investment can aid development. 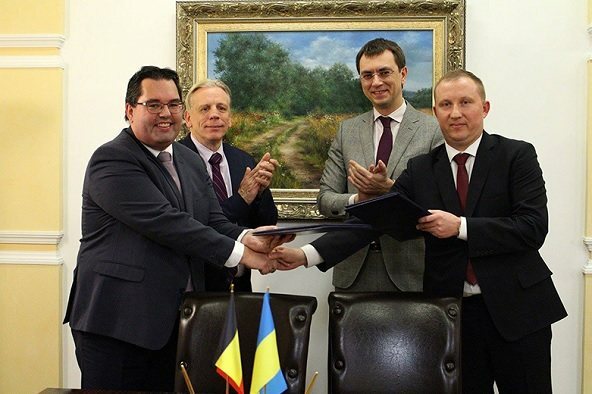 The signing ceremony was attended by Ukraine’s Minister of Infrastructure Volodymyr Omelyan and His Excellency Alex Lenaerts, the Belgian Ambassador to Ukraine. At the ceremony, Raivis Veckagans, the Head of USPA, spoke about what the MoU will entail and how it will lead to strong future relations between the two sides. He said: “Experts from Port Antwerp International will conduct an analysis of the situation in Ukrainian seaports and will formulate a plan of partnership and development strategy." Kristof Waterschoot, managing director of the PAI, a subsidiary of the Port of Antwerp tasked with finding development opportunities abroad, stressed the importance and potential of the Black Sea region, in particular, Ukraine’s seaports, for foreign investment. The MoU with USPA is the latest in a series of investment projects for the PAI after it initiated partnerships with the Port of Ac in Brazil and the Port of San Pedro in the Ivory Coast.